Geek Squad Academy had a blast at Barrett Elementary School in Pittsburgh Pennsylvania as our Junior Agents stole the show. Approximately 100 students graduated to Junior Agent and will continue to pursue the possibilities a future in technology provides. 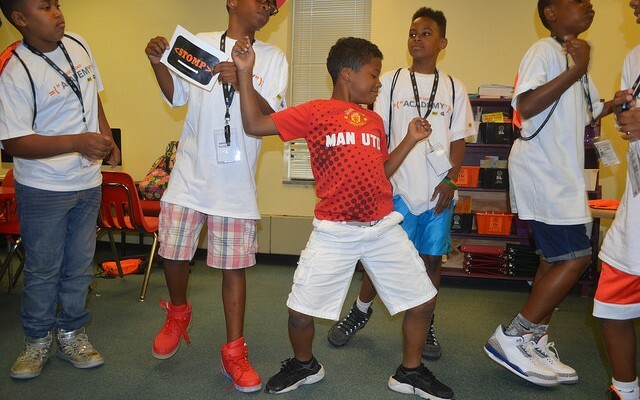 The knowledge they gained and fun they had will continue as they expand their knowledge on 3D Printing and Design, Web Know How, Digital Compass and online safety, programming BB-8 robots, and making incredible beats in Digital Music. We would like to express a huge thank you to Barrett Elementary, the Best of the Batch Foundation, the amazing volunteers, staff, and helpers that made our academy one to remember. We would like to also thank our amazing and talented Instructors and Helpers that made this camp the best possible for our Junior Agents. Last but not least we would like to thank our incredible Junior Agent graduates for their one of a kind enthusiasm and desire to learn.